Some more sunny yellow on this beautiful Spring day. 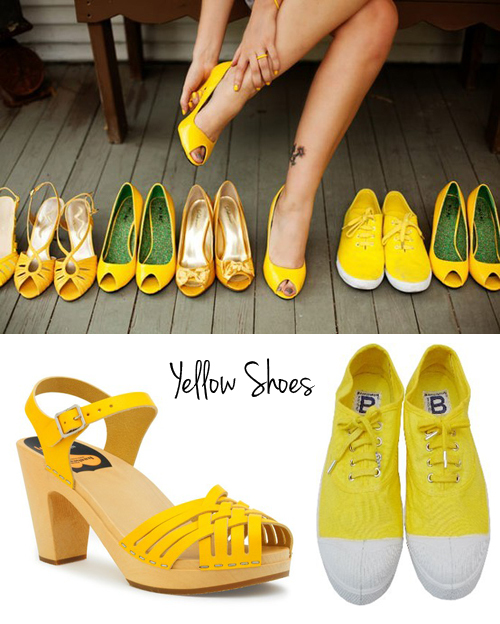 I’m loving this yellow shoe collection (images below). The shoe at the left is from Swedish Hasbeens and the pair of yellow shoes at the right is from French brand Bensimon. 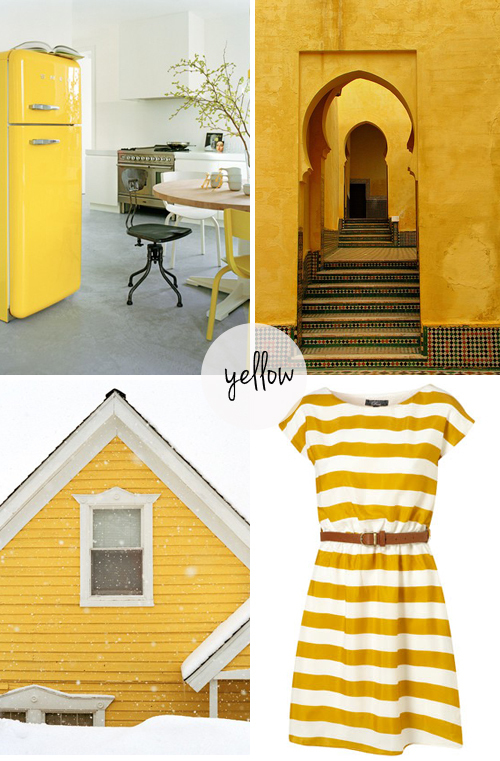 LOVE this sunny yellow, makes me feel so ready for summer! And reminds me to stop wearing black every day ha ha. Love this sunny dress… where’s it from? Yellow is such a flexible color. Too often people pigeonhole it is a soft color and don’t stray to far from using light buttery tones as accents to other colors. 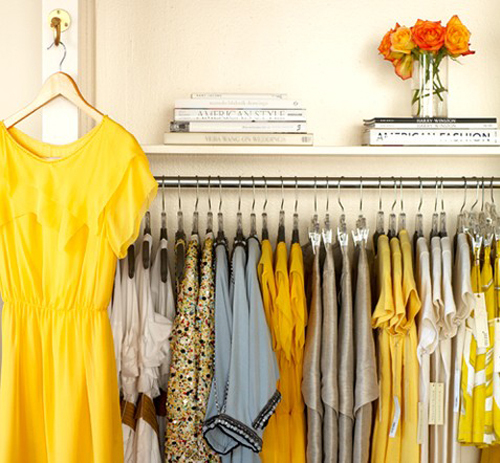 As this post really shows, brighter and richer hues of yellow are not only standout colors in their own right, but come across as being both bright AND organics. Great shots. Love that fridge. LOVE that dress – where is it from? ?